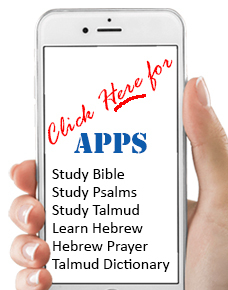 Master Mishna Complete MP3 - the perfect way to learn and review Mishna. Every word in all of Mishnayos read, translated and explained. Each word read aloud, each word translated, each Mishna explained. Master Mishna is designed to be a completer Mishna Study Solution - get you copy today. Compatible with any device that plays MP3. Each word read aloud, each word translated, each Mishna explained. Now you can learn Mishnyos wherever life takes you. SOME EXCLUSIVE MASTER MISHNA FEATURES The Shiur Consistent: same outstanding Rebbe for entire Mishna... Clear...Concise...Word by Word...English translation and explanations. The full Master Mishna MP3 contains all of Shas as listed below. “The Order of Seeds” — is the first of six orders of the Mishnah. It deals with agricultural laws. This CD includes all eleven tractates. Laws of the prayers and blessings. Gleanings of your fileds that are left for the poor. Produce brought from a person whose tithing is suspect. Forbidden mixtures of plants, animals, and clothing. The Sabbatical year and its Laws. Discusses produce set aside for the Kohanim (Priests). Both 7 & 8 discuss laws of various Tithes. Challah: The portion of dough set aside for the Kohanim. Laws of fruit produced by a tree during its first four years of growth. First fruits, brought to the Temple for a special ceremony of Thanksgiving. "The Order of Festivals” — discusses the laws of the sacred days of the Jewish calendar. All twelve tractates are included on this CD-ROM. Both of the above discuss Rabbinical decrees re-garding the Sabbath and Festivals. Laws of Shekalim — the annual half-shekel head tax. Laws pertaining to Festival offerings in the Temple. The laws governing Jewish Marriage. The laws pertaining to vows are also taught. All seven tractates of Seder Nashim are on this CD-ROM. Childless widows, incestuous unions, agunos. The laws of Kiddushin — Marriage. and a host of topics ranging from ethics to idolatry. This CD-ROM contains ten tractates in Seder Nezikin. Property damage, loans and interest, stolen goods. Lost and found, sales, rentals. The laws of Makkos discusses False witnesses, Exile punishment, Corporal punishment. Testimonies of sages of the mishnah on a wide variety of laws. Idol Worship, Relationships with non-Jews. Legal Decision - discusses erroneous judicial rulings.